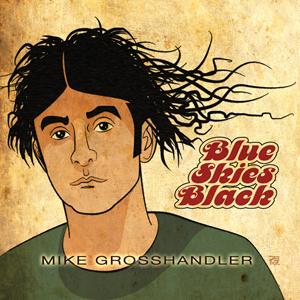 All songs written, performed, recorded, and produced by Mike Grosshandler except: track 11 written by Mike Grosshandler and John Armstrong Regan; track 2 guest vocals by Phil Taylor; tracks 1, 4, & 7 drums by Michael Maenza; tracks 2, 10, & 12 drums by Ricky Little; tracks 3 & 11 drums by Tom Sposato; tracks 5 & 6 drums by John Brodeur; track 8 drums by Chris Fisher; track 9 drums by Melanie Krahmer at Sirsy Studios; track 10 horns by Bill Scholl; tracks 1, 3, 4, 7, & 11 drums recorded at Threshold Studios; tracks 2, 5, 6, 8, 10, & 12 drums recorded at Easter Island Studio. Mixed by Tim Lynch and Mike Grosshandler at The Recording Company. Mastered by Masterdisk. Art by Vince DePorter. (p) & © 2012 Mike Grosshandler. All Rights Reserved. All of the wonderful people listed above who contributed their considerable talents to this album and, Meredith Grosshandler, The VeLMAs, John Armstrong Regan, Michael Mandato, Jessica Marley, Dave Graham and The Blisterz, Mike Guzzo and CRUMBS, Doug Madigan, Jim Annunziato, Meegs Rascon, Ed Lakata, Above The Flood, Call It Quits, Jeff Knight, WEQX, The Clintons, Statues of Liberty, Kyle Garneau, and Gwyddon Z. Peterson. How many ways can I word the same phrase? Should I continue on down this path of status quo? What good is a life not lived, not allowed to grow? Leave them to their ennui, I intend to win this game. Tell me now, what’s left, after all the rest? Where will I breathe my last breaths? Cool breeze, won’t you come and breathe me life-like? to that of any who might be beside me? and you understand my mind? when you try to cross that line? What’s so lovely as a dream? Tell me how come must I age? How much more can I fit on my plate? What will I dwell upon, when I reach the end? Are banished to my memories, why can’t they come out and play? So what is there now left for me?